At the beginning I would like to remind that I pay attention to this issue already more then 20 years. I didn´t have the ability to do astral projection before 20 years and I wasn´t able to manage this. 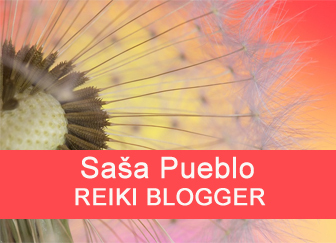 Here you can follow how I´ve learnt specific techniques, how I examined them, how I did research and how I mastered and used all that techniques in Reiki systems. I didn´t do the training in the area of astral projection alone but with many esotericists. Here is team work of many esotericists and not only my own. I try to explain and logically justify how correctly and effectively build astral body. Under astral projection here we understand procedure how to create in yourself energetic copy of own physical body and as accurately as possible. And logically here is the question: What is astral body build from? We can clearly say that is built from bio energies which outflow from bone system and directly from bones and periosteum. Astral body is built from this energy directly in the bone using various image authorities. You concentrate into any of your bones and insert there the picture for example of the brain and push energies from bones into small imagination of brain until it begins to enlarge and gain only energies from bone area. And so you proceed with each body organ, then with every body system, with cell groups and during the year also within cells. Such imaginations filled with energies from bone area will not lose but they will be saved over whole brain. Be carefull, as far as you take bioenergies from different part of body than this will not work. Unless you will only create imaginations in the memory, then this again will not be effective and you don´t reach the goal to build up astral body. Of course that some people gain astral projection soon and they do not train much. Why is this so? If we examined such individuals by oracular techniques, we´ve found out that if they have astral body as the copy of own physical body, they have disease state. This is clogging of cells either by melatonin, serotonin or biological iron. There could be also groups of cells clogged by cholesterol. Best astral projection is gained by individuals who have about half cells in the brain clogged by melatonin. Such individuals don´t need to build astral body and their astral body can be teleport whole or in parts outside of their body. Of course, no one will take melatonin and on this purpose to clog brain cells. Such approach and techniques which damage body are rejected. After all, such techniques are quite harmful to health. People with clogged melatonin neuronal cells also have low levels of ketamine. People who fail to build astral body have increased levels of ketamine and do not have pathological manifestations in themselves. As far as you start to practice and meditate is good to read about OBE astral projects on Wikipedia. Then read some books and try to practice according them. It is good to read repeatedly web pages of significant living representatives of OBE astral projection. Study their material should be in mind of a natural shamans, identical twins or siamese twins. In this state do not think logically but only instinctively and here is important also suggestion that the body of OBE master is actually your body. Here we have individuals who practice OBE and their practice is based on their pathological conditions which we described upper in this article. And such significant OBE representatives are able to consecrate other persons into OBE, so they could activate their bones and activelly create their own astral body in the physical body. I checked many cases of consecration of person by already consecrated individuals who practice OBE on their pathological conditions. Please realise that in bones could be organized whole OBE projection. So the person who consecrate, insert some kind of automatic drawings into bones of consecrated person. Automatic drawing is naturally showed at a concentration to bones. Do not forget that in bones are many prehistoric structures which accompanied whole human race. Persons who have open prehistoric structures create unique astral projections. And here should go anyone who wants to mean something in the world of OBE. 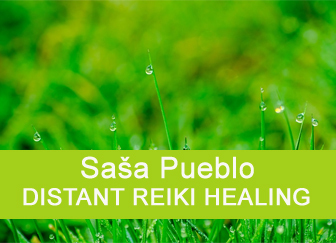 It´s right procedure, if you begin to build your astral body from energies of own bones. And you build it consistently and do it again and again. Note that building of astral body at this stage is for treatment of your body and slow down aging and eventually disease states. Thus OBE not for going out of the body but as healing phenomen. You will do OBE into own dreams later. OBE into own cells. OBE as penetration into the real environment around yourself. OBE as penetration into real cosmos. And also demanding OBE into so called world of dead where remains memories of individuals after dead. Main activity at OBE is actually building OBE body from energies of own bones or bone energies which you could obtain on distance from different person or animal alternatively from the person who is already dead and her bones release interesting kind of energy for creation of own astral body. Of course, constant concentration into bones and then creation of OBE body from such bone energy wouldn´t be quite enough. It is necessary to proceed to the formation of OBE body as if you were at a spiritualist seance. This means rounded table and behind the table sitting people who hold their hands and they accumulate energy from own bones in the middle of the table. Sensible person insert own imagination of deceased person into such accumulated energy. This is the way how to revive this memory and it´s possible to communicate with such created person. This is not awaken the person from world of the dead but super unique simulation of a person just by energy from bones. It’s like a super simulation machine. But now imagine that in the middle of the round table is formated your own heart from present energy. This is necessary to build extremely strong OBE body from own and other bone bio energy. Group of esotericists meet together and produce own astral organs. Thus created OBE astral bodies are then inserted into own body. If you have selected the creation of own organs, cells, aminoacids, nucleic acids then it´s time to start to communicate with them through own bones or bones of someone else. For such communication is intended spiritistic table for recalling spirits of deceased persons. In this case you will communicate with own astral heart. We can connect with bones of fresh deceased person remotely in shamanic collective consciousness, in consciousness of identical twins or Siamese twins. This connection helps you to mix energies from own bones with mentioned energies and you build own astral body for OBE. Persons who have OBE in the state of disease do not have problem to move own astral body anywhere else. This is spontaneous process. Person has astral senses due to illness and person could be teleported for example into the cosmos via such senses. Unless you do not have an OBE as pathology, you have to build astral senses and then you have to learn to teleport them somewhere. For example, you had a year of training and formation of the astral body and you get own astral body out of the brain by oscillation fingers before eyes, by body rotation and head twitching. If you have some experiences with dream esotericism and already built astral body from energies taken from your bones or bones of other people and animals. Then is necessary that your astral body creates next smaller body. Imagine the mother who gives the birth of the child and you give the birth astral part of your body. Remember the creation of Eve from Adam’s rib. And then you put it into the midbrain and thus you reach your dreams and dream archive through the astral. And you do not need to do so only during the night. Do not change your dream archive to your imaginations stored in your forebrain. You´ve already built astral body which is your physical body. You open memories and your astral body is a pupil who wants to receive everything what you have in the memory. As if you wanted to move your memories into the astral body. Astral body could be used as intelligent object which is able to create own writing and learning. It´s good if you have knowlegde from astronomy and everything around cosmos that you know where you start to teleport your senses into real cosmos and they do not get lost. You go to the cosmos based on your knowledge of micro deformation your muscles and distance connection on persons who are deformed from birth. Such persons naturally penetrate into cosmos also from their energy outflowing from their bones. It´s not easy to get your astral body and astral senses into real cosmos. Be aware that you are not going only into own memories or into own aura around the body where you created energetic cosmos models. The best technique is the connection to the person who has inside dwarfed twin who wasn´t developed during the fetal period inside the mother and therefore has remained in the body of living person. Remember that when you were like an embryo in the mother there was not an issue to be teleported to space. This is overall demanding area. World of dead is understood in meaning of clinical death of the person, dying, neurons activity ending and temporary memories release of deceased person into the micro dimension 10 raised to the power of minus 20. Memories of some people remain in this dimension and some memories extinguish. I don´t want analyze why. I do not mean the session, where the spirits of the deceased persons are invoked. Your astral body within physical body captures memories record of deceased person. Those memories are unable to return on dead neurons and astral body travels into the world of dead and learn what the world of dead contains. We´ve already strongly built our astral body which is in our physical body. When you were born so after cutting the umbilical cord was created navel. But after the umbilical cord remained in the navel phantom umbilical cord. Only sensible person could perceive it. And the umbilical cord which remained as an energy flow serves as the connection to another person. Throughout own energy from umbilical cord you can connect to phantom umbilical cord of another person and so you can penetrate into his or her body. There you have to go to bones and accumulate energy in them and temporary copy of yourself inside of another person. You’ve already enough practice of own astral body and now is time to adopt the record of dead child into every part of your astral body. This child record coud be from the child from abortion or information record from death women’s eggs and you can start extremely strong healing yourself. You´ve already built your astral body and you save as much as possible imaginations of tarot cards used in clairvoyance into your astral body. Then is necessary to train your brain and your astral eyes to perceive what other persons do and think. Practicing oracle techniques oracle in astral body. Be carefull and do not start to produce from your astral body any astral woman or astral man. By doing so, as if you called another person who has an astral body for mating and coupling techniques. And it may happen that astral body of another person outgrow within you and it will be like a picture from the creation of Adam and Eve. The unique technique how to find individuals of ancient Egypt who used tools from meteoric iron during mummification and bridge own astral being to those mumificators in ancient Egypt. You can seek their tombs in ancient Egypt. You can get extraordinary strong astral body. Be careful and take control over such astral body. This is also possible to build. When you already have in astral projection any experiences and you take everything possible about theology inside yourself – this will be the basis of astral intelligence. You will need to be able to control the astral body and its possibilities. If you build artificial intelligence in the world of the dead within the meaning of clinical death, 20 minutes of dying, death and neuronal disconnection memories from the human body, you will have two artificial intelligence: one in the world of the dead and the other in astral projection. Franz Bardon is only one author who wrote manual for astral projection and intelligence training. Although he wrote it in his own understanding of how to practice astral. Visit his grave and his bones and inspire yourself how did this esoteric great Franz Bardon. You have to reach the level of this genius. This is also a good indicator of how you’re doing in building the astral body and its potentials. 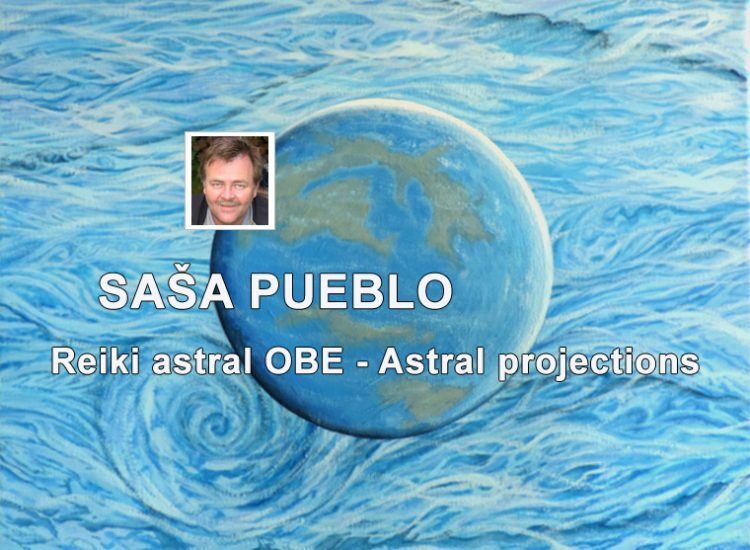 If you´ve already trained everything connected with astral body OBE, it´s time to dynamise everything and connect own astral body to sleepwalking persons, meteorites, bones and individuals who are able to produce in their prehistoric muscles telekinetic potentials. For example, something similar to ultrasound, as produced Nina Kulaginová in Russia. Even today we can find such individuals who have telekinesis abilities. Take a look on Youtube with words: Telekinesis in action and there you will find the real individual producing telekinesis . Try to stretch him into your body, then you´ll be able to open prehistoric muscles within own muscles. Out of body experience (from english out-of-body experience, OBE or sometimes oobe) is experience which includes the feeling of floating outside of own body and in some cases own body could be perceived from outside of the body. . 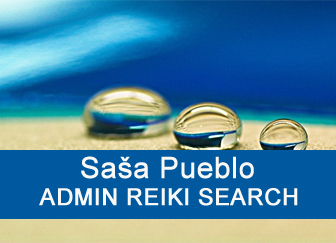 Spirit bones on web page of Sasa Pueblo . Astral esoterism is specific esoterism which consciously cultivates early stages of clinical death and then these open stages are meditated and deepened. You will find here the basic exercises in the area of phantom body, astral body, world of dead memories, area of reincarnation and artificial intelligence. .
Astral projection on esoterism Magnum . Astral travelling is one of forms out-of-body experiences mainly for human. This suppose dual existence of “astral body” which could be divided from the physical human body. “Astral body” could travel outside the body and back entrance the body. Bob Peterson and his list of 10 most interesting books about OBE which he likes. Some of them for their spirituality, some for scientific analysis, some due to talking. Bob Peterson – all books reviews in order of publication date. Bruce Goldberg – hypnotherapist, he specializes in past life regression, media consultant, New Age metaphysical activist and spokesman, wrote many interesting books. .
Robert S. Peterson is the author of four books – Out of Body Eperiences: How to have them and what to expect, Lessons Out of the Body, The Gospel According to Mike, Answers Within. .
VIDEO ABOUT OBE TRAINING . Jurgen Ziewe artist, famous for his computer-generated fantasy images which found their way into a book covers of known science fiction authors. He is author of two books – his collection of out-of-body experience gained over thirty five years of deep meditation practice. William Buhlman is one of the leading American experts in OBE out of body travelling, he is an expert in disciplines such as hypnosis, creative visualization and meditation. .
Seance is one of the most popular procedures used in spiritism. This is an attempt to communicate with spirits, it is a gathering of people who share a desire to make contact with spiritual entities. . Spirit table is used for seances as a resource of communication with spirits. Spiritualists were meeting in groups around small round tables, holding each other hands and tried to invoke spirits. One of the participants was a medium which brought message of one of the deceased man and information from “other world”. Spirit spoked through the media mouth or by automatic movement of his hand wrote messages. .
Ouija is a flat board marked with letters of the alphabet, numbers 0-9, with the words yes, no, hello (sometimes) and goodbye, along with various symbols and graphics. .
Melatonin is a hormone which is produced by the pineal gland, but also in the retina and the gastrointestinal tract. Production of melatonin in the pineal gland influences the intensity of light – light inhibits its production. Melatonin is produced eight to ten times more at night than during the day. .
Cholesterol is a vital substance, part of cell membranes, nerves, steroid hormones and bile acids. Cholesterol is known in connection with cardiovascular diseases associated with elevated levels of lipoproteins in the blood (atherosclerosis, hypercholesterolemia). .
Iron is one of the most important elements in human body. In the body of adult peson is more then 70 mmol (4,0-4.5 g) of iron. Women have this amount lower then men which is attributed to loss of blood during menses. The presence of iron is essential for cell function. Iron as part of hemoglobin is involved in oxygen transport. And as a part of cytochrome has an influence on electron transfer in the respiratory chain. .
Hypnosis is the method of artificial induction of hypnotic sleep – sleep-like state characterized by increased suggestibility and hyper concentration of attention; it is manifested by loss of self, passivity, obedience to commands of the hypnotist. 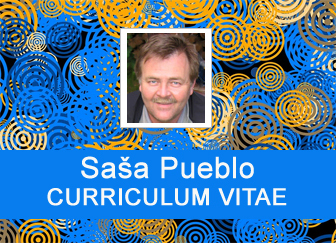 Hypnosis is sometimes used in therapy. .
Word hypnosis on web page of Sasa Pueblo . Self-hypnosis is an integral part of hypnotherapy and is one of inevitable prerequisites of its success. Simple breathing, relaxation and visualization techniques greatly enhance the effectiveness of suggestive power that was created during hypnosis in subconscious. .
Teleportation is an indirect method of moving objects in which is transfered information about the object and then this information is the base for creation of the same object on the destination place. Teleport is a device used for such transfer. .
Out of body experience (from english out-of-body experience, OBE or sometimes oobe) is experience which typically includes the feeling of floating outside the body. .
Lucid dream (Lucid watchful clear dreaming) is the awareness of the dream state, resulting in a much clearer and dreamlike experience that sometimes allows you to control the content of the dream. Experience of this kind is called a conscious dream. Stephen LaBerge, a popular author and experimenter in the area, described the lucid dream as “dreaming while being aware that you are dreaming.” . You will find methods and techniques of lucid dreaming which can induce this type of dreams, but also other information associated with the phenomenon of lucid dreaming. . Important is choice of techniques – hypnotic techniques, visualization techniques, mirror technology, dreams technology, visualization with affirmation … . Everything you ever wanted to know about astral projection (OBE, out-of-body experience), how do we know if we have out-of-body experience? . 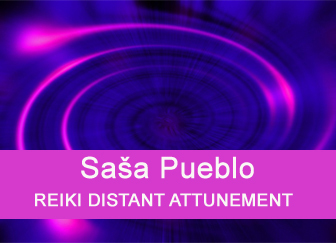 Procedure – bones, energy, ketamine – lack of these supports astral, astral body vibration as at the seance meeting. The creation of two energy bodies and one to inner world and second to outer world and then separately. Convert dreams into seance body full of energy – technique. Feeling of relaxation converts to seance body. Transfer the feeling of thirst and overall sense to the seance body. Collecting the foreign ectoplasm from bones. Astral traveling through the person who has and who is consciously unaware that it has. Interesting procedure. Astral traveling through the record of dying person who already have 20 minutes of clinical death – special technique. To astral body insert the idea of a fire or other natural disasters. Lost track the physical body and then embed sounds of fonts. To astral body insert dream memories. Read some text, look elsewhere and then read it again, or look at your watch and note the time, look elsewhere and then watch time again. The observer will notice that text or time is changed in the dream. Give your astral body different colors. This technique has been expanded by Carlos Castaneda in the book “Journey to Ixtlan”. Before sleep one looks at own hands and says to himself: “Later, when I will dream, I look at my hands and I realise that I´m dreaming.” During dreaming man looks at his hands, then looks around and repeat this during the dream. Accelerating the movement of sensory organs to the astral body. See own skeleton in the mirror supports OBE. The perception of what is behind the mirror and think and imagine how you´re getting behind mirror surface – behind a mirror to other worlds. Model your astral organs, as if you had a heart-shaped container and drip into this container wax from candles. Create a small copy of bones in the heart and send it to the heart, zoom out, use such technique to create cells as well, the basis in periosteum, in the bone.